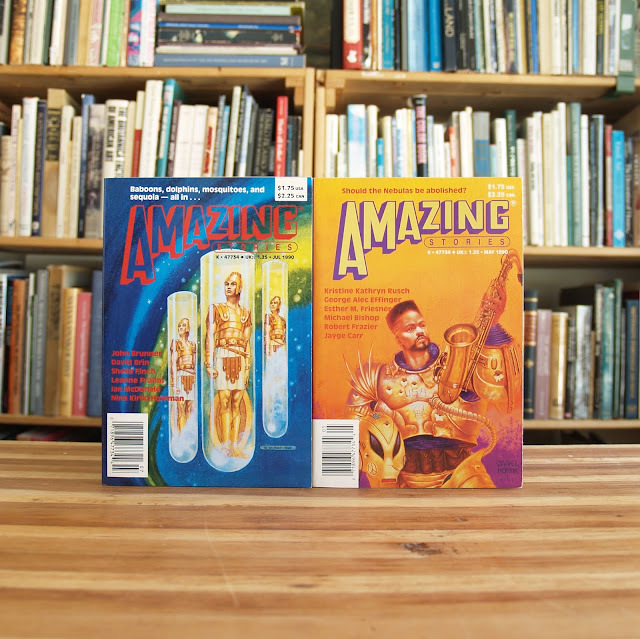 This is a set of 7 issues of Amazing Stories magazine from the early 1990s. 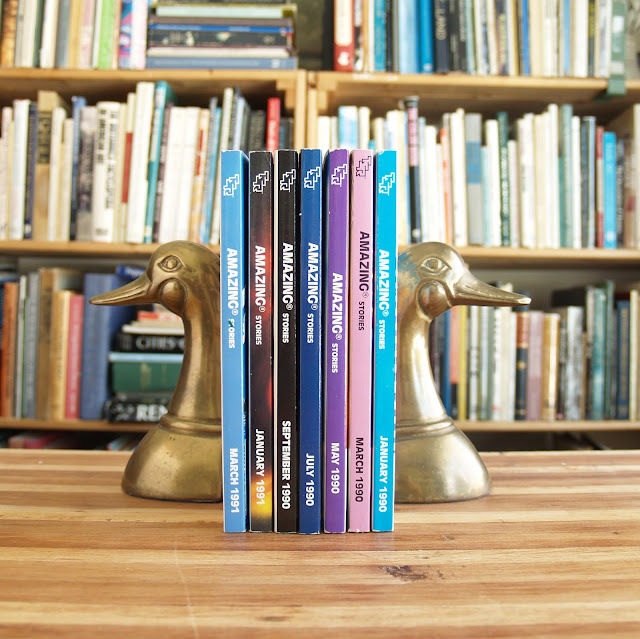 These periodicals are bound in the style of a softcover book, with a sturdy cover and full spine. 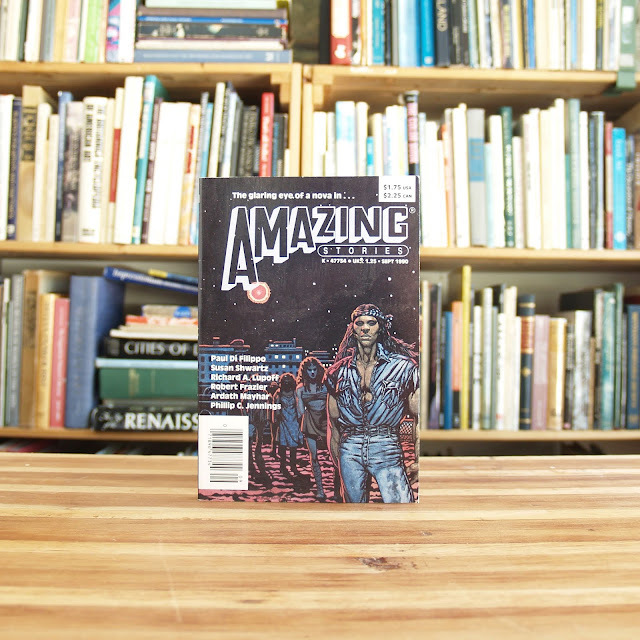 This set includes the following issues: January, March, May, July and September 1990; January and March 1991. 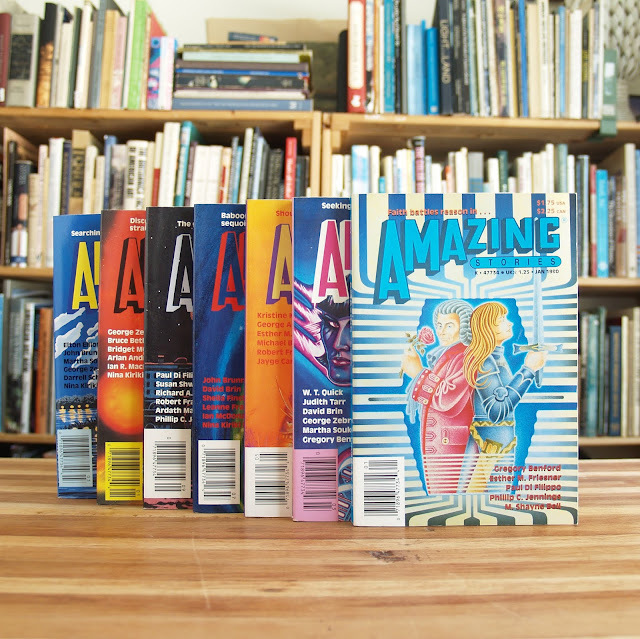 Each issue has a colorful illustrated cover with white or black spine lettering. Overall set condition is very good; only minor exterior wear, inner pages clean and unmarked. Black-and-white illustrations within. 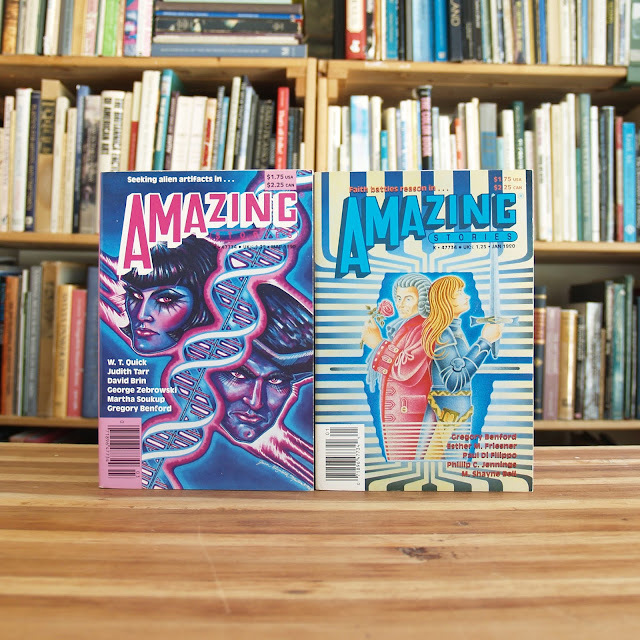 Each issue is approx. 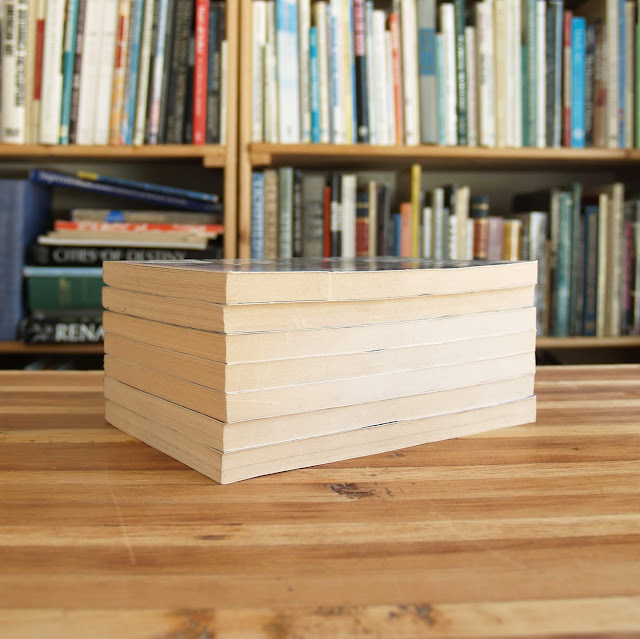 150 pages, 5"x8". 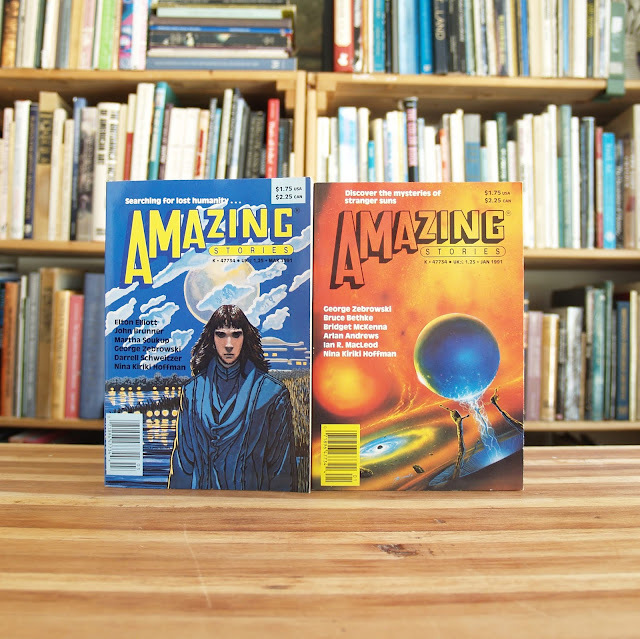 Included are authors such as Elton Elliott, John Brunner, Martha Soukup, Darrell Schweitzer, George Zebrowski, Bridget McKenna, Arlan Andrews, Paul Di Filippo, Ardath Mayhar, Sheila finch, Ian McDonald, Nina Kiriki Hoffman, Robert Frazier, Jayge Carr, W.T. Quick, Esther Friesner and M. Shayne Bell.